Today was the day! 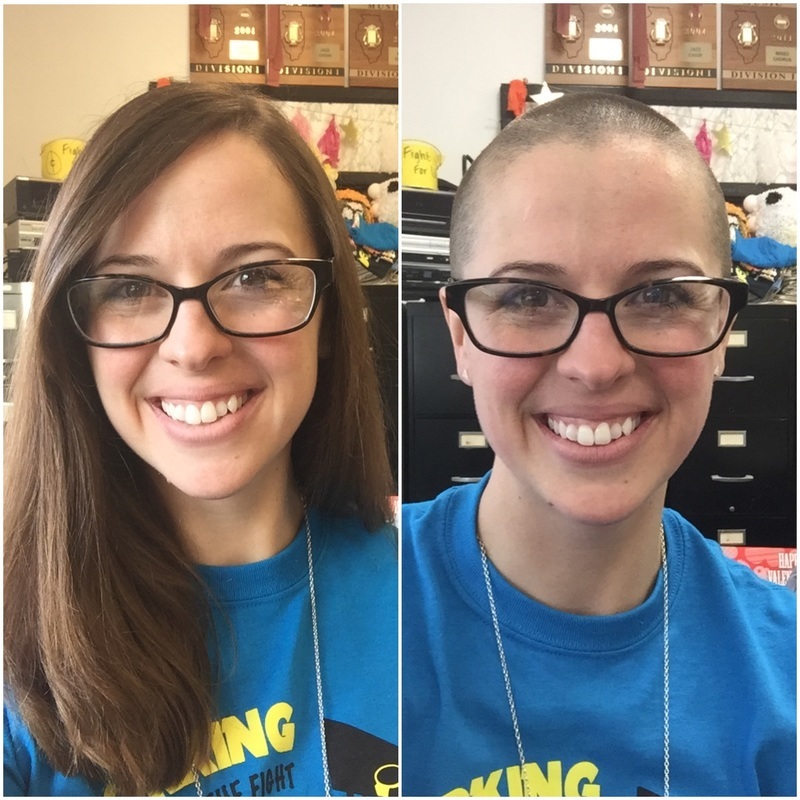 I can't even begin to express my gratitude to all of you who contributed to my Fight for Life head shaving campaign! With your help, I was able to raise $4,178.40 (more than 3 minutes of running St. Jude!) and over 10% of the $41,670 goal for the entire district! I am so, so happy! Thank you to everyone!! Stay tuned for more photos! Hello! I'm Kate O'Donnell. I teach Spanish and Chorus at Eureka High School, in Eureka, IL. 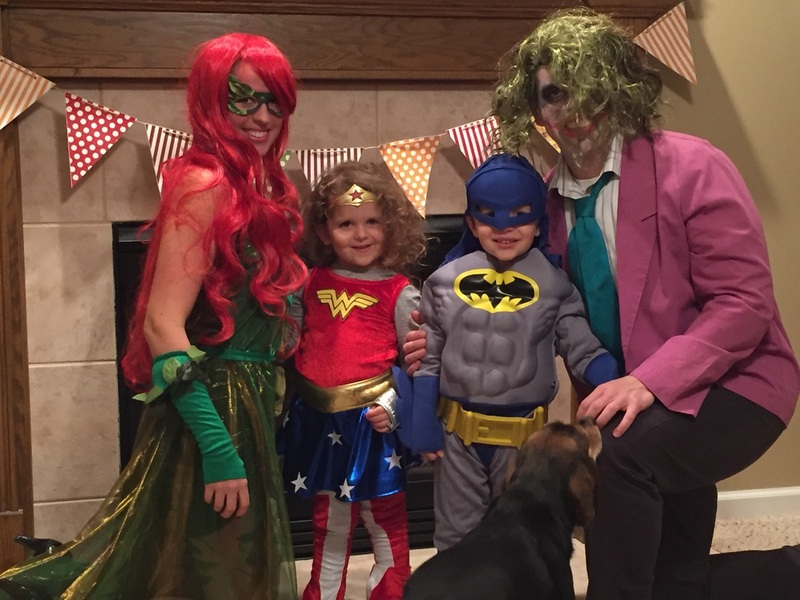 I'm also wife to Corey and mom to 4 year old twins, Nora and Nolan. This March Eureka High School, and the other schools in District 140, will participate in their annual fundraising week to benefit St. Jude Children's Research Hospital. Last year we raised over $38,000 for Fight For Life! I'm so lucky to be a part of the D140 community and their efforts to support the incredible care and cutting edge research provided by St. Jude. Did you know St. Jude families don't pay a dime for treatment, housing, meals, or travel? Amazing, right? The only way to do this is through donations from people like YOU! To do my part I'm shaving my head in front of the entire high school on March 11 to raise money for St. Jude Children's Research Hospital! My goal is to raise $2,000 to add to our school total for Fight For Life, plus I will donate my hair to Pantene's Beautiful Lengths program where it will be made into a FREE wig for a woman with cancer. Will you help me reach my goal of $2,000? All donations are tax deductible and receipts can be sent, on request. Please consider donating in one of the following ways. 3) Cash/Check In person; Please email me at kate.odonnell@district140.org to arrange this! Thank you for your support of D140 and the children of St. Jude! Please help us Fight for LIFE! Every Minute Counts! Click here to learn more about Fight For LIFE 2016!